Kim Holden only knows how to “Do Epic” and Franco is no different. Franco is the drummer in Rook, Gus’s band and though he has been mentioned throughout this series we have never actually really got to know him. Gus has a great taste in friends and band mates and there was nothing about Franco I did not like. In fact, he was adorable. Franco is not your average rock star, especially when it comes to women. He has a type, a type that doesn’t come along very often. In the circles he treads the women are superficial something that Franco is immune to. Franco likes his women honest, modest and with a personality. Gemma was a northern lass from England with a spit fire personality to match. Gemma was fun with a capital F, but not in your face. She was intelligent, and was coming to the end of a yearlong work project as an architect. Gemma was in her late twenties and had her life mapped out, but she didn’t bet on meeting Franco. When these two meet, the chemistry is instant, you literally feel those sparks flying off the page, and a lifelong friendship is born. Both Franco and Gemma know that their time together is limited, both leery to let their hearts get involved, but sometimes when a chemistry is that strong and that intense, the heart makes up the mind. I’m not going to say anymore because you need to experience all those emotions first hand for yourself, but as with any Kim Holden read she nails that character connection which only intensifies everything that you read. Franco and Gemma came to life with some fantastic dialogue that had me laughing one minute and swooning the next. These two together were a perfect match and Kim Holden portrayed that perfectly. The friendship between Gus and Franco was adorable and seeing these two interact lit up every scene that they were in. That camaraderie, friendship and mutual hero worship had me once again laughing one minute and smiling from ear to ear the next. Every single scene with these two killed me in a good way. My only niggle, I would have loved to have known more about Franco and Gemma before they met to get that background info that I crave. This book does move at the rate of knots, is relatively short and is predictable, but this was not about the predictability of the plot, this was all about the journey. Yes, I knew it was going to happen but it didn’t make it any less enjoyable when I got there. As with any Kim Holden book the power of positivity is woven throughout and it is this that really brings this book together. We all learned our lesson in the first book…always look on the Bright Side. 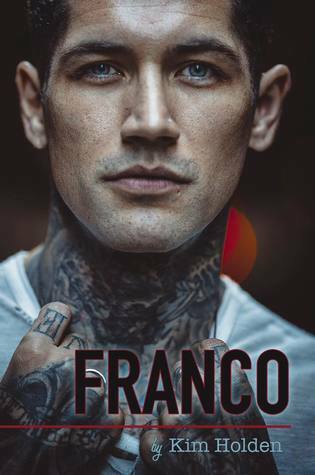 Franco is a book boyfriend that is going to be on a lot of peoples lists after reading this. He was perfect, he was adorable, just like this book.